While it certainly doesn’t look like a minivan the Rhino GX, from US Specialty Vehicles, is actually well-suited to carting your kids to soccer practice, family road trips, driving the school carpool, or picking up the weekly groceries. No, it doesn’t exactly blend in like ever other SUV on the school run, or indeed like any sort of minivan you’ve ever seen before. 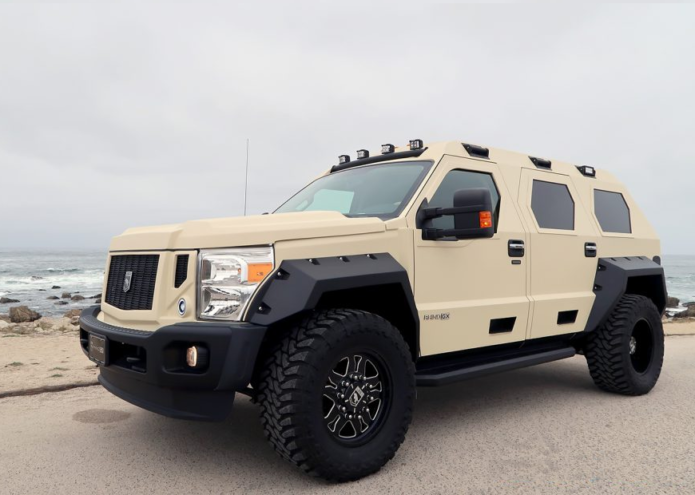 All the same there’s a good reason why this military-inspired truck might be the perfect family ride.